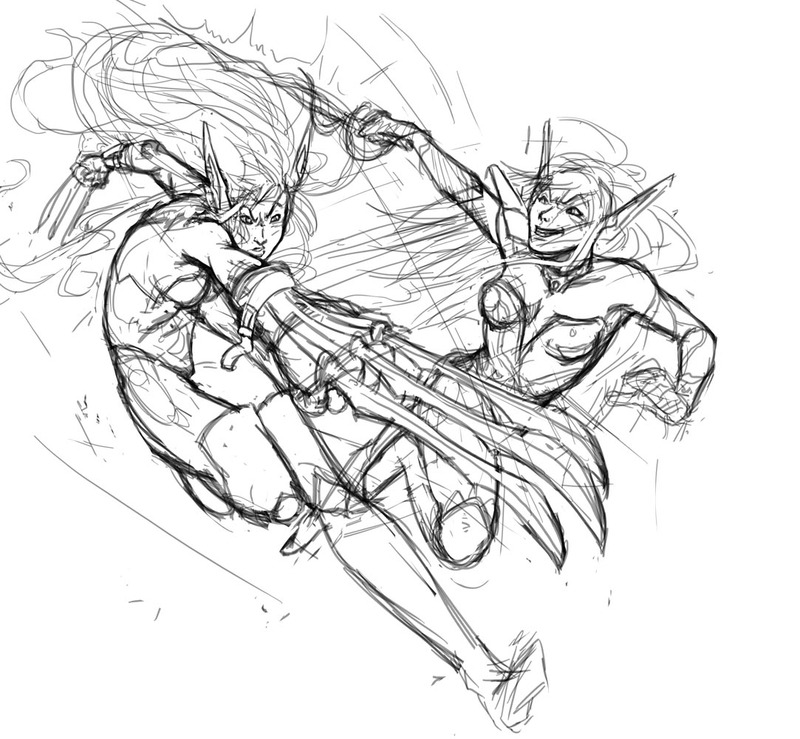 Work-In-Progress sketch of a VERY long-overdue request from a co-worker. ...Definitely needs some shaping up on some anatomy. Ah well, hence work-in-progress.